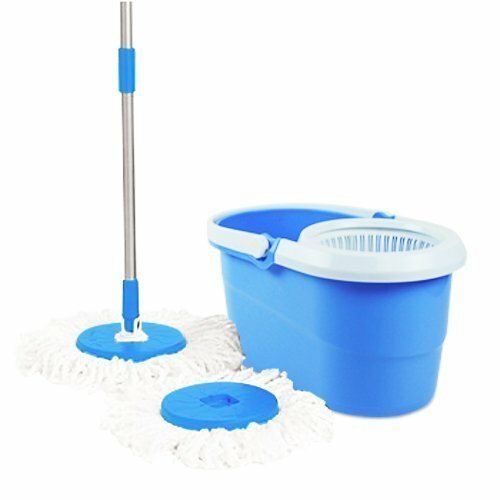 New mop head design can be rotated freely through 360 degrees to evenly and easily clean any corner. 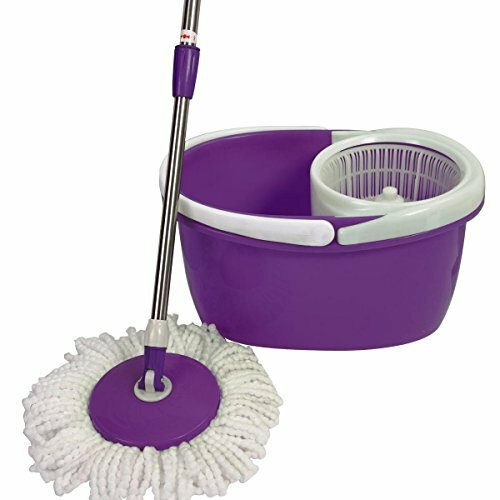 New spin-dry water bucket allows you to choose how wet the micro-fabric mop head should be. 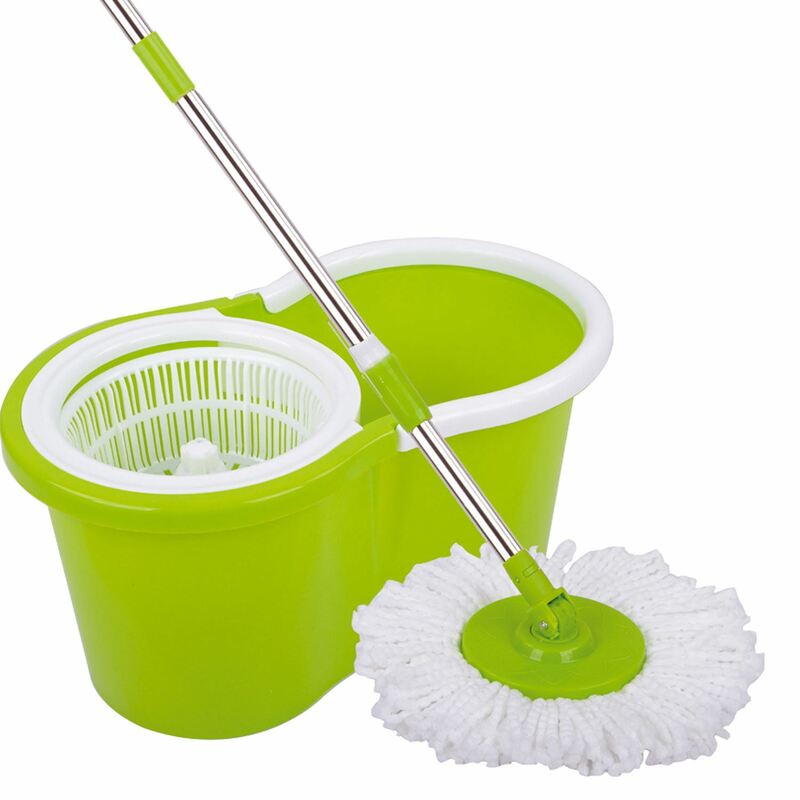 The mop cleans/ removes dust and absorbs water/ making the floor clean and dry right away. Hand press dehydration/ super force saving and no more hand wringing of mop.